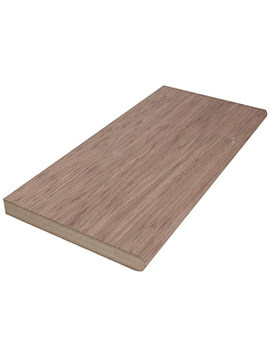 Veneered MDF (medium density fiberboard) are made from quality wood and come in the A grade faces and B grade faces. Veneer is usually thinly sliced wood glued to core particle boards or MDF board to make flat panels for cabinets, doors, and parquet floors. 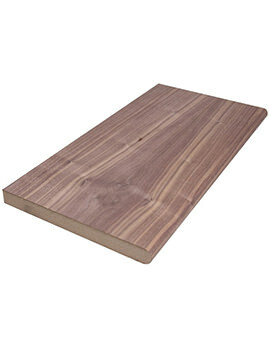 MDF is made of recycled materials such as offcuts, wood chippings, and sawdust. It is environment-friendly and expertly worked veneer on dense MDF core produces top quality, sanded smooth products on which paint can be easily applied. It is used for internal purposes and the biscuit dimensions ensure that fixing screws always leave a smooth finish. The deep brown colour of walnut with its intensely warm, dark velvet finish is ideal for interiors because it blends with most of the indoor colours and themes. 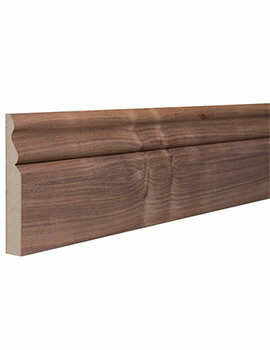 Walnut veneered MDF window boards perfectly blend with any weather and is quite durable. The boards are used to seal window sledges, are resistant to warping and twisting and are fitted with precision to give smooth bull-nosed profiles and rebate window sittings on either side. Architraves are frames moulded around a window or a doorway. Just like the walnut veneered MDF window board, they are quality products made with the customer in mind to give windows and doorways warm and superior finishes. 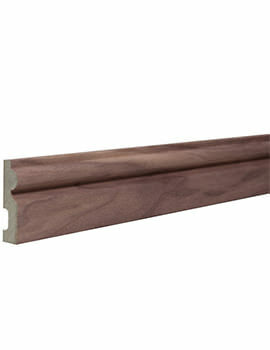 Skirting is a wood or tiled border fixed inside walls around the bases to protect the wall and give it an elegant finish. 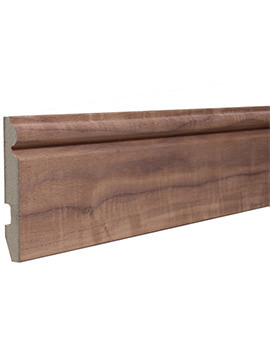 Just like the walnut veneered MDF window board and architrave, they are quality products for ensuring that house interiors have the best finishes, to the satisfaction of the customer. On our site, you will find a variety of top quality MDF boards such as Bull nosed Window Board Walnut Veneer, Pencil Round Architrave, Torus Architrave, Ogee Architrave Walnut Veneer, Ogee Skirting Board Walnut Veneer, Pencil Round Skirting Board, Torus Skirting Board and much more. All our products are competitively priced.